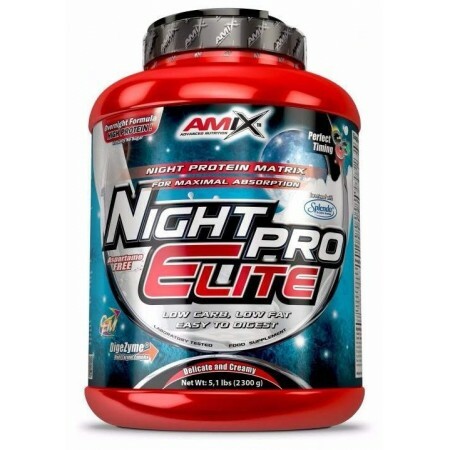 Elite NightPro Amix is ​​a product made up of three distinct proteins: protein isolate CFM, high purity and obtained through the ion exchange; calcium caseinate, milk protein itself; and hydrolyzed whey protein is a composite of three types of proteins, also from milk. Containing a low level of carbohydrates and fats. In addition NightPro Elite also includes within its composition peptides, amino acids branched amino acids oligopeptides hydrolyzed whey. With the mixture of these three proteins is achieved that the body has a sequential absorption, thus ensuring different absorption sequences in time and proteins having up to 6 hours. To this is added that the high quality of proteins containing NightPro of Amix and the high content of amino acids. A significant amount of stimulating growth hormone (GH) as L-arginine, L-ornithine and branched amino acids. Also contains Alfa Ketogluterato. The body does not suffer side effects from starting this compound it is that it has amino acids and peptides that help synthesize the protein. But it is also very useful during the day because it ensures a protein absorption over time. With what muscles are protected from stress to which they are subjected during training maximum intensity. For the client Nutricion24 ensure proper digestion, NightPro of Amix contains a mixture of enzymes called Dygezyme, for digestion to be resistant to gastric juices of the stomach. 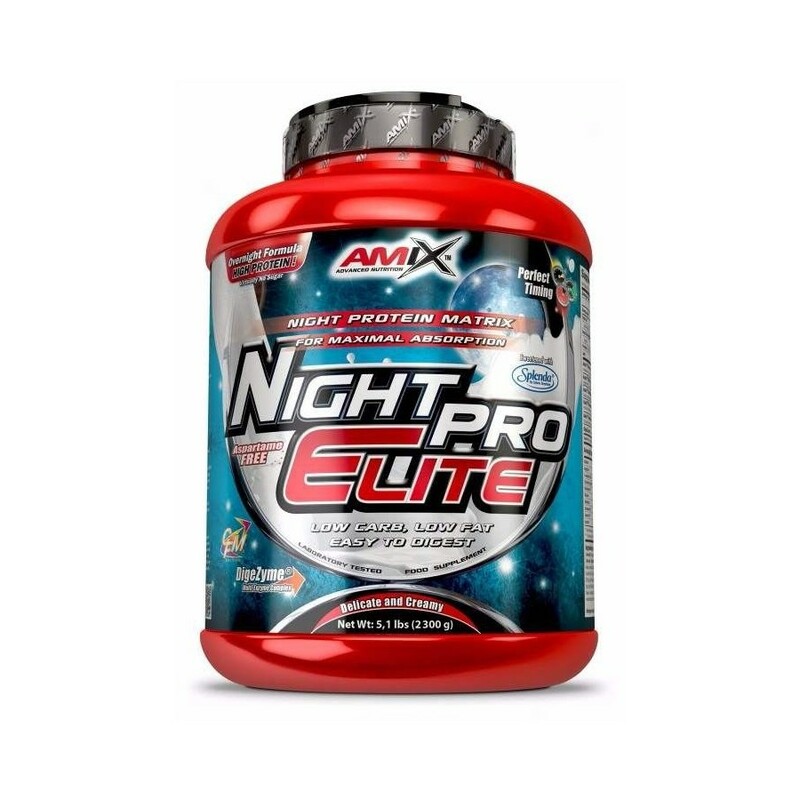 As Amix take NightPro Elite: have to make two shots with 50 g dissolved in 400 ml skimmed milk or water. The first in the morning before exercise and the second at night before going to sleep.